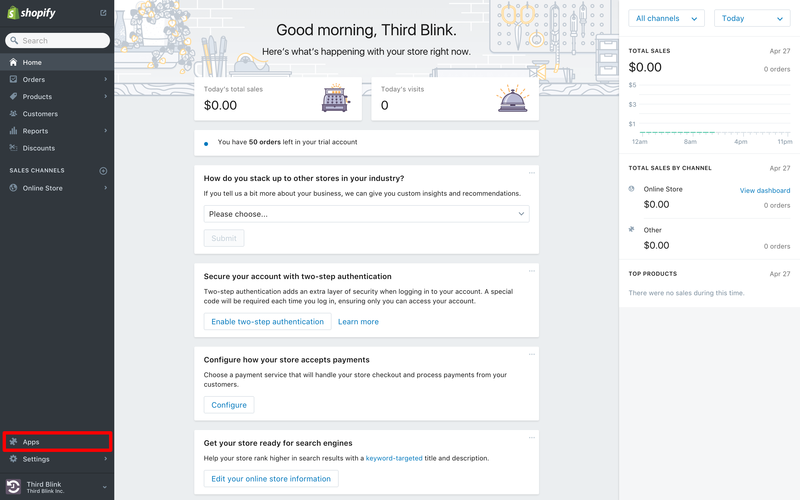 Configuring Rewind Enterprise for your Shopify store. Congratulations! You have chosen to super charge your backup and restore capabilities with Rewind Enterprise. 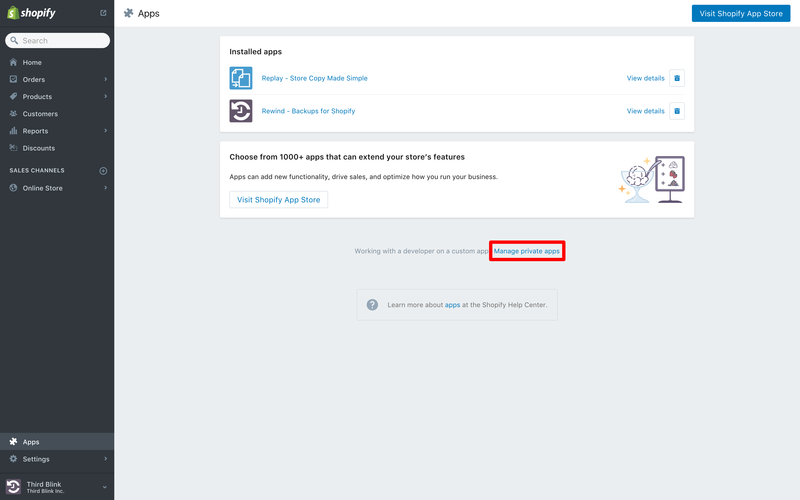 To configure Rewind Enterprise, create a Private App in your Shopify Admin console. You must have administrative privileges for your shop to complete this process. Head over to https://<your-store>.myshopify.com and log in. Click the Apps link in lower left of the admin side bar. 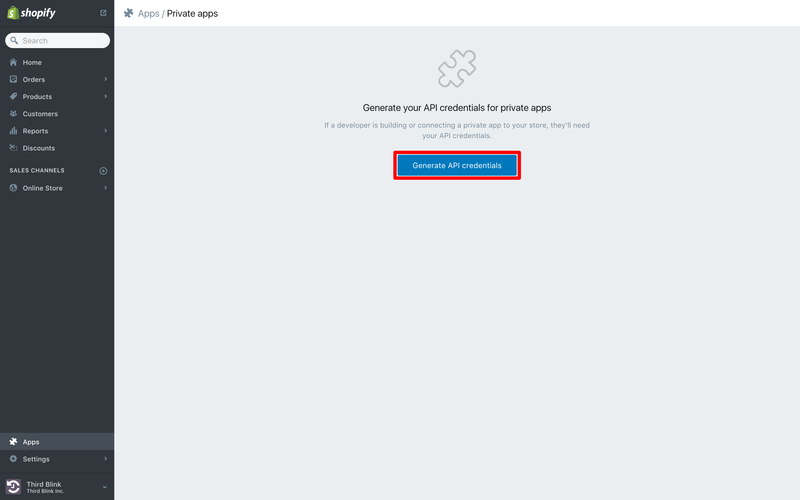 Click the Manage private apps in the footer of the page. 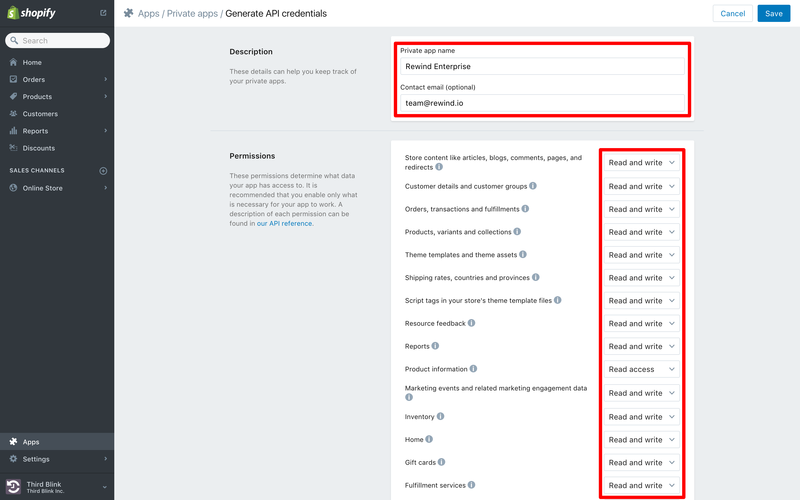 Click the Generate API credentials button. Enter Rewind Enterprise into the Private app name field. Enter [email protected] into the Contact email (optional) field. 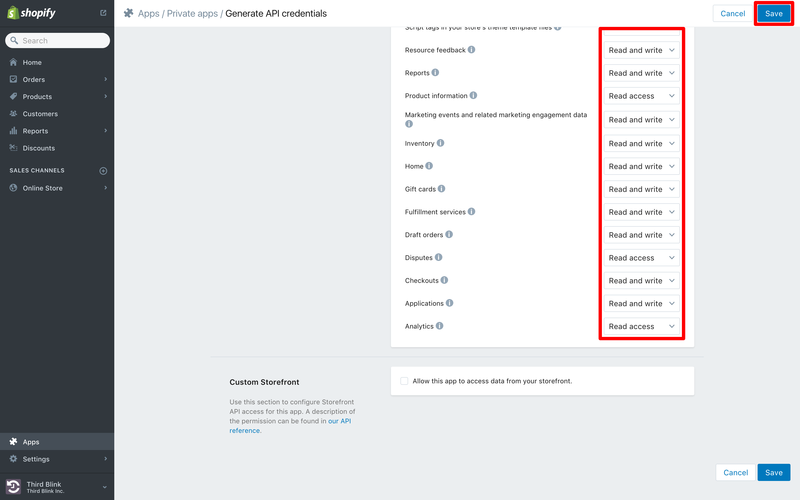 Configure all permissions to Read and write, except Product information, Disputes, and Analytics - these can only be configured with Read access. Copy the API key and paste it into an email. 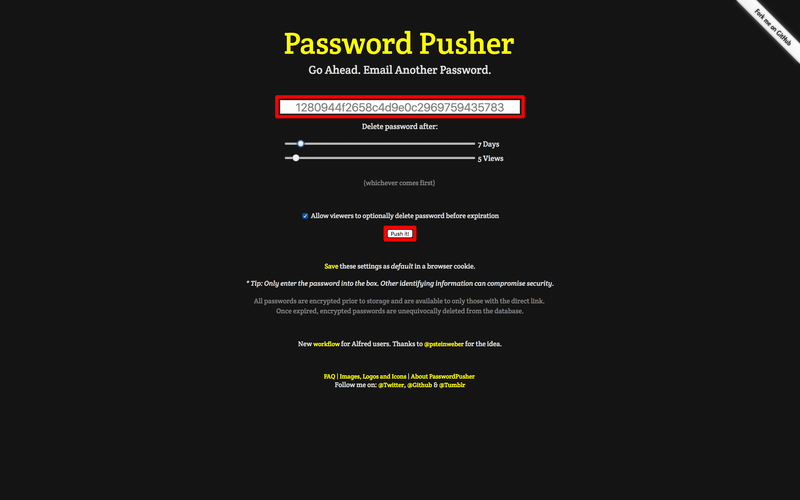 Copy the Password, visit https://pwpush.com, and paste it into the Enter the Password to be Shared field and click the Push it! button. 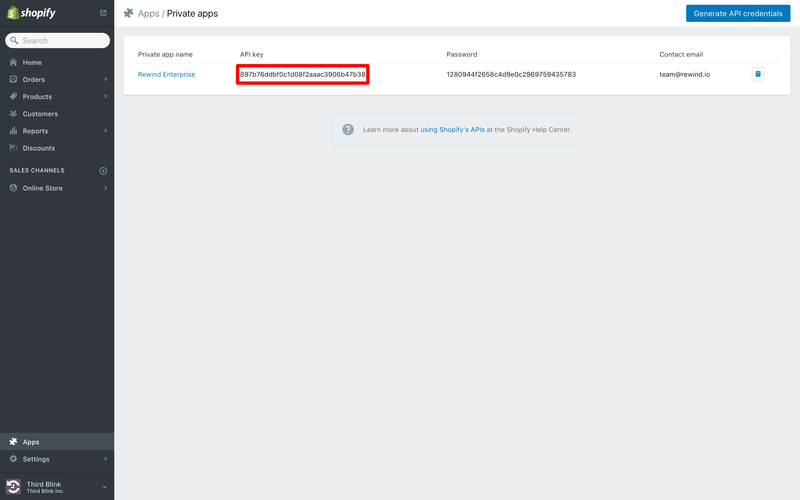 Paste the URL into the same email, along with the API key, and your Shopify hostname (<your-shop>.myshopify.com) and send it to [email protected] with the subject Rewind Enterprise.